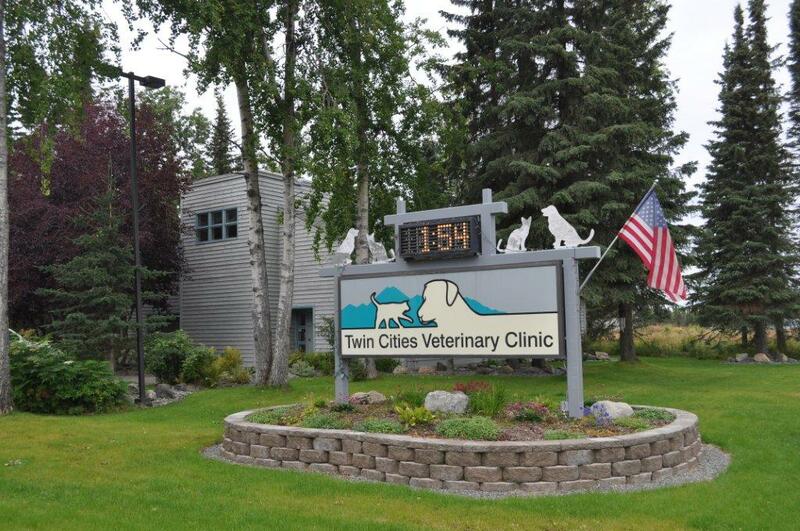 Twin Cities Veterinary Clinic Welcomes You to Our Website! Twin Cities Veterinary Clinic is a full service companion animal hospital with a caring staff of experienced health care providers. We are located between Kenai and Soldotna at mile 19.5 of Kalifornsky Beach Road (across the road from Subway). It is our commitment to provide quality veterinary care throughout the entire life of your pet. Our services and facilities are designed to assist in routine preventive care for young, healthy pets; early detection and treatment of disease as your pet ages; and complete medical and surgical care as necessary during his or her lifetime. At this site, you will find information about our practice philosophy, our services, helpful forms to assist you and an extensive Pet Medical Library for you to search for additional pet health care information. Please feel free to contact us at 262-4581 if you have questions about our services.